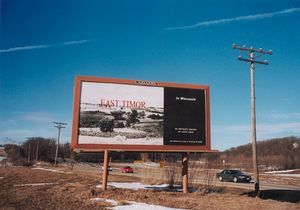 A series of billboards by Lewis Koch were mounted at eight locations in Madison, Wisconsin and the surrounding area, in the spring of 1998. 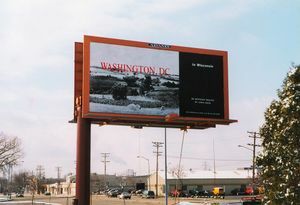 As a public artwork, the billboard project engaged a diverse local audience in considering one's personal place in global affairs. 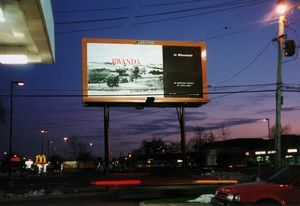 Each billboard presented an identical photograph of a tranquil Wisconsin landscape; on the horizon line of each. painted in large red letters, the name of a place in turmoil from the eight geographical areas of the world. 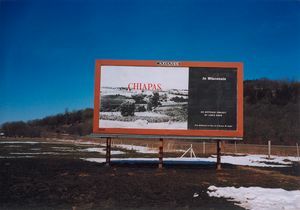 The place names -- COLOMBIA (S America); AFGHANISTAN (Asia); RWANDA (Africa); EAST TIMOR (Pacific Rim); BOSNIA (Europe); WASHINGTON, D.C. (N America); CHIAPAS (Central America); and PALESTINE (Middle East)-- were used as examples of places then currently in conflict. Not intended to be exclusive of the many troubled areas throughout the world, some of these places continue to be in conflict to this day. 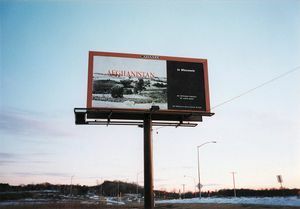 As an artist's response to the relative peacefulness and calm of his immediate environment, the billboard series (titled IN WISCONSIN) sought to inspire contemplation of various fundamental questions: What is our role as individuals in the global picture? 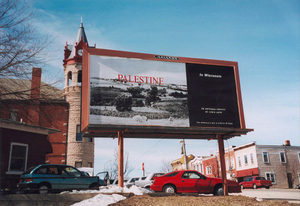 How does our peace and prosperity impact upon other places in conflict? 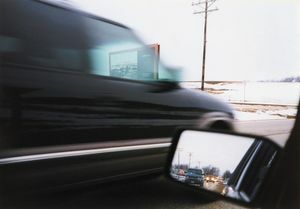 How is it that we are favored to live in relative calm -- when just over the horizon there are innumerable places where people must live with crisis and war? 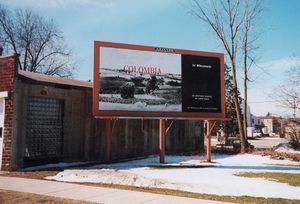 Like much of Koch's other works, a primary objective of this project was to bring provocative ideas into the everyday environment, and to help make them accessible to a public which might rarely (if ever) see exhibitions in more traditional settings. 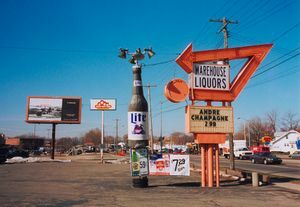 Without moralizing or proposing any specific ideology, IN WISCONSIN presents an artist's inquiry in collaboration with the public imagination, with passersby invited to participate in a dialogue of substance, reflecting on the place we live and how it is we are here. 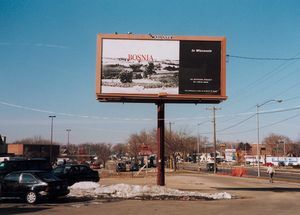 This project was funded in part by Madison CitiARTS Commission, with additional support provided by the Wisconsin Arts Board, WYOU Community Television, Adams Outdoor Advertising, Physicians for Social Responsibility, and generous contributions from individual local donors.